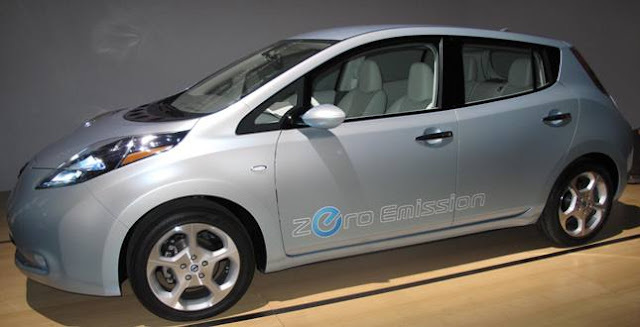 The Nissan Leaf battery electric car has been named Green Car Journal's 2010 Green Car Vision Award™ winner at The Washington Auto Show beating out the Coda electric sedan, Ford Focus BEV electric car, Mercedes-Benz F-Cell hydrogen fuel cell vehicle, and Toyota Prius PHV plug-in hybrid. "Nissan's move to offer a stylish battery electric vehicle as part of its model line is significant," says Ron Cogan, editor and publisher of the Green Car Journal and editor of GreenCar.com. "This coming electric model will provide the features, the styling, and the driving experience that will meet the needs of a sophisticated and demanding market, while producing zero localized emissions and requiring no petroleum fuels." The vehicle's cost does not exceed that of a comparable internal combustion model and the gas to run it. "This kind of price parity is crucial to the success of any mass market advanced technology model," Cogan says. To be considered for the Green Car Vision Award™, vehicles must be in their early stages of commercialization but not yet on sale, in small volume production with more than one functional prototype in existence, or operating as part of a demonstration fleet. A nominee may be an all-new model or an advanced adaptation of an existing model, such as a conversion to another type of power like electric drive. The Leaf is scheduled to go on sale later this year. Ford reported a full year 2009 pre-tax operating profit, excluding special items, of $454 million, a $7.3 billion improvement over a year ago. Ford posted full year net income of $2.7 billion, or 86 cents per share, driven in part by favorable net pricing, structural cost reductions, net gains on debt reduction actions and strong Ford Credit results. Ford reported its first full year of positive net income since 2005 and a $17.5 billion improvement over 2008. Revenue for the full year was $118.3 billion, a decline of $19.8 billion versus a year ago. Ford now expects to be profitable for full year 2010 on a pre-tax basis excluding special items, for North America, total Automotive and total company, with positive Automotive operating-related cash flow. 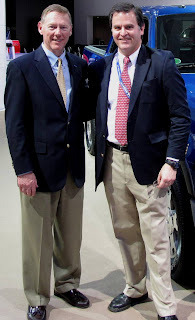 growth by working together as one team, leveraging our global scale,” said Ford President and CEO Alan Mulally (pictured left). $3.3 billion, or $1.40 per share, a year ago. Ford North America operations posted a pre-tax operating profit in the fourth quarter, excluding special items, of $707 million, its second straight profitable quarter. Ford South America, Ford Europe and Ford Asia Pacific Africa also posted pre-tax operating profits in the fourth quarter. Ford’s fourth quarter revenue was $35.4 billion, up $6.4 billion from a year ago. Toyota Suspends Sales Of 8 Vehicle Lines In U.S.
Toyota Motor Sales announced that it is instructing Toyota dealers to temporarily suspend sales of eight models involved in the recall for sticking accelerator pedal, announced on January 21, 2010. Toyota announced it would recall approximately 2.3 million vehicles to correct sticking accelerator pedals on specific Toyota Division models. Toyota has investigated isolated reports of sticking accelerator pedal mechanisms in certain vehicles without the presence of floor mats. There is a possibility that certain accelerator pedal mechanisms may, in rare instances, mechanically stick in a partially depressed position or return slowly to the idle position. Toyota's accelerator pedal recall and suspension of sales is confined to the following Toyota Division vehicles: 2009-2010 RAV4, 2009-2010 Corolla, 2009-2010 Matrix, 2005-2010 Avalon, Certain 2007-2010 Camry, 2010 Highlander, 2007-2010 Tundra, 2008-2010 Sequoia. 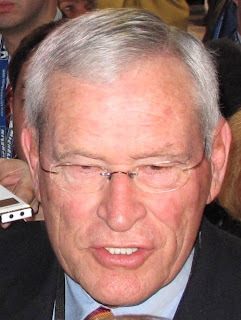 Edward E. Whitacre, Jr., has agreed to continue as chairman and CEO of General Motors, it was announced today. Speaking at a press conference at GM’s headquarters, Whitacre also expressed the GM board’s commitment that the company will pay back in full the U.S. Treasury and the Canadian and Ontario government loans by June. Whitacre’s appointment reflects GM’s progress since the new company was formed last summer. “The board of directors asked if I would be willing to stay on at GM and help continue the company’s road back to success,” Whitacre said. “Having spent the past few months learning the business, meeting with our employees, customers and dealers, and working with the GM leadership team, I was both honored and pleased to accept this role. This is a great company with an even greater future, and I want to be part of it." 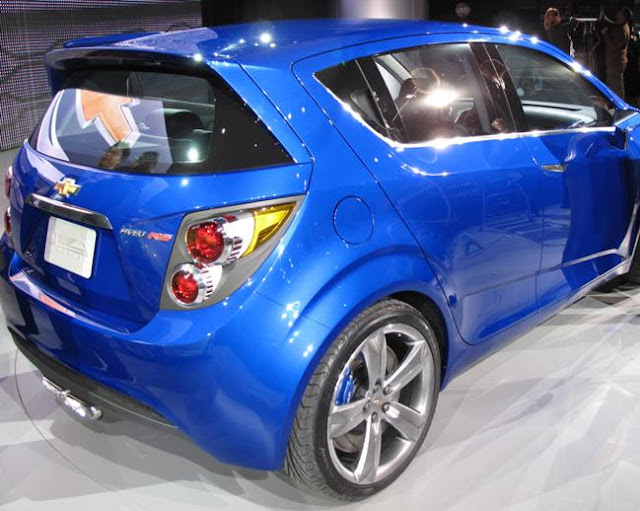 Chevrolet Aveo RS To Be Built In U.S.
Chevrolet Aveo RS, shown at the North American International Auto Show in Detroit features the same small-displacement 138 horsepower 1.4L Ecotec turbocharged engine that will be available in the 2011 Chevrolet Cruze. In the Aveo RS show car, the 1.4L turbo is mated to a six-speed manual transmission. 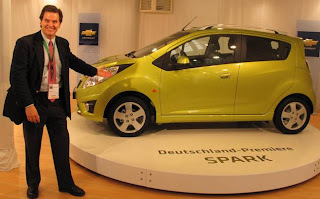 Chevrolet has previously announced the new Aveo will be built at Orion Assembly in Orion Township, Mich., in 2011, a move that will restore 1,200 jobs to Southeast Michigan. Plant retooling is scheduled to begin later this year. GM says the Aveo RS features a European-inspired hot hatch look designed to appeal to young enthusiasts, and hints at the next-generation Aveo. This Aveo is longer, wider and more spacious than the current production Aveo and will have the many personalization options potentially available on the next-generation car. The current Aveo is made in Korea. Greater Washington D.C., California and Michigan will be the initial retail markets where Chevrolet will sell the Volt electric vehicle with extended range to consumers. Chevrolet will deliver more than 100 Volts to several utilities across the U.S. – including Pepco and Dominion, which serve Washington D.C. and its suburbs – as part of an extended demonstration program. The overall program includes 500 charging stations that will be installed for residential, business and public use. They will be used to learn more about the installation process, vehicle charging and to gauge customer feedback. The Chevrolet Volt is an electric vehicle with extended-range capability designed to drive up to 40 miles on electricity without using gasoline or producing tailpipe emissions. When the Volt's lithium-ion battery is depleted, an engine/generator operates to extend the driving range if there is no access to an electrical outlet to recharge the battery. The Chevrolet Volt has already logged more than a quarter-million test miles on pre-production vehicles, some of which are in service 24 hours a day, seven days a week. 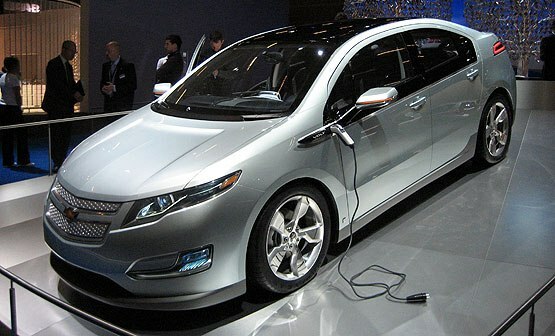 Volt production begins later this year, and pricing has not been announced. The 2011 Lincoln MKX midsize luxury crossover introduced in Detroit two weeks ago has a new 305 horsepower 3.7-liter Duratec V-6 engine delivering torque up to 280 ft.-lb.and mated to a six-speed SelectShift Automatic™ transmission, and comes equipped with MyLincoln Touch™ driver connect technology. Ford brags that the new MKX will achieve highway fuel economy of 25 mpg on regular fuel. The MyLincoln Touch experience, powered by Lincoln SYNC®, replaces traditional vehicle buttons, knobs and gauges with clear, crisp LCD screens and five-way buttons like those found on cell phones and MP3 players. The screens can be personalized to display information relevant to each individual driver using a simple button click, voice command or touch screen tap. Also new on the 2011 Lincoln MKX is iTunes® Tagging which is enabled by the available Voice-Activated Navigation System through SYNC, iTunes Tagging providing customers with the ability to “capture” a song they hear on the HD Radio receiver for later purchase from iTunes. With a simple push of a “TAG” button on the radio display, the song information will be stored in the radio’s memory. The 2011 Lincoln MKX has eight unique features: MyLincoln Touch, Lincoln SYNC, Easy Fuel, SecuriCode™ keyless entry, Blind Spot Mirrors, MyKey, Cross Traffic Alert and AdvanceTrac® with RSC (Roll Stability Control™). 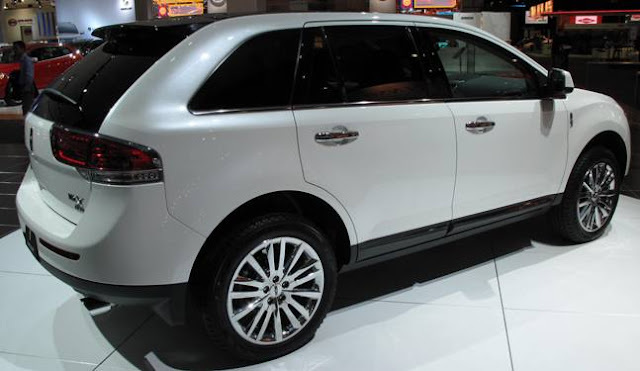 The 2010 Lincoln MKX starts at $38,345 so we'll have to wait to see how the 2011 model is priced. 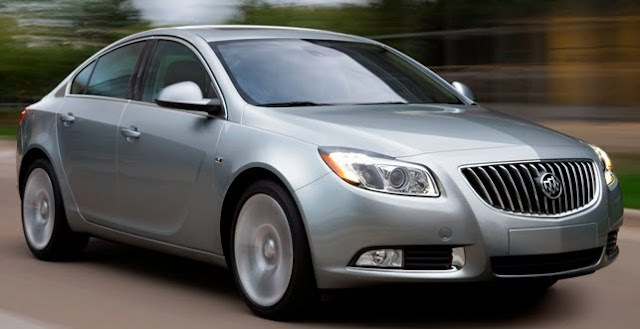 The all-new 2011 Buick Regal, which will be will initially be offered in premium CXL trim only, will start at $26,995 including a $750 destination charge and the Regal’s CXL turbo model will start at $29,495, including a $750 destination charge. Additional trim levels to be offered in the 2012 model year. The Regal CXL includes a standard 182 horsepower 2.4L Ecotec direct injected engine and an optional 220 horsepower 2.0L Ecotec turbocharged and direct injected engine coming late this summer. Both engines have six-speed automatic transmission standard with Driver Shift Control (DSC) and an estimated 30 mpg on the highway for the 2.4L and 29 mpg highway with the 2.0L turbo engine. Regal production for sale in the U.S. and Canada begins late Q1 2010 in Russelsheim, Germany, with vehicles expected to start arriving at dealerships in Q2 2010. 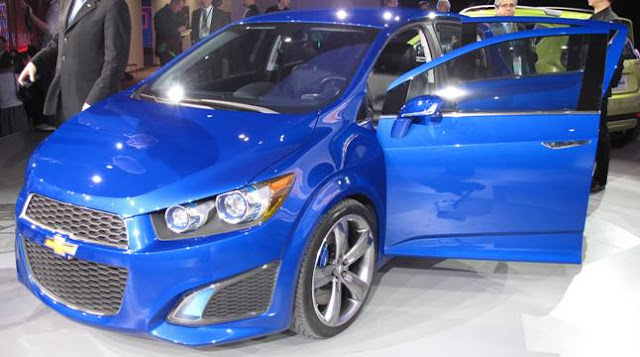 North American production will begin at the Oshawa Car Assembly plant beginning in Q1 2011. So initially you'll be getting a German-made General Motors car from Opel, the European car maker that GM decided to keep and not sell, a decision heavily influenced by the future of Buick models. Toyota Motor Sales, U.S.A., is recalling approximately 2.3 million vehicles to correct sticking accelerator pedals on specific Toyota Division models. Toyota's press release goes on to say that this action is separate from the on-going recall of approximately 4.2 million Toyota and Lexus vehicles to reduce the risk of pedal entrapment by incorrect or out of place accessory floor mats. Approximately 1.7 million Toyota Division vehicles are subject to both separate recall actions. Toyota says the condition is rare, but can occur when the pedal mechanism becomes worn and, in certain conditions, the accelerator pedal may become harder to depress, slower to return or, in the worst case, stuck in a partially depressed position. Toyota is working quickly to prepare the correction remedy. Toyota's accelerator pedal recall is confined to the following Toyota Division vehicles: 2009-2010 RAV4, 2009-2010 Corolla, 2009-2010 Matrix, 2005-2010 Avalon, 2007-2010 Camry, 2010 Highlander, 2007-2010 Tundra, 2008-2010 Sequoia. Toyota owners who have questions or concerns should contact the Toyota Customer Experience Center at 1-800-331-4331. The all-new 2011 Audi A8, Audi's fourth generation flagship sedan with aluminum space frame, MMI user interface, quattro all-wheel-drive and adaptive air suspension, will hit showrooms this Fall. The A8 is powered by a 372 hosepower 4.2 FSI direct injection V8 engine with Valvelift System variable intake valve lift delivering 328 lb-ft torque and mated to an 8-speed automatic transmission. 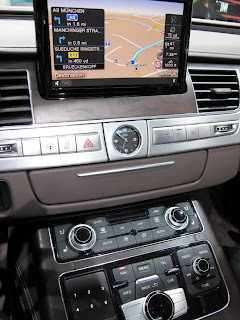 The biggest issue with the new high tech luxury sedans is the navigation, entertainment interface which manufacturers painstakingly research with focus groups to make user-friendly. A difficult to use control system can be a customer's key vehicle dissatisfier so I spent an hour with Dr. Werner Hamberger assigned to making the next-generation MMI 3G+ Multi Media Interface with ‘MMI touch’. MMI touch is essentially like a laptop mousepad that recognizes handwriting for entering letters and numbers for Navigation destinations, and is backlit to allow it to change to a pointer for map functions, a number pad for radio functions (see lower left of photo) and can be used to scroll lists in the MMI. The A8 NWB (Normal Wheelbase) was shown in Detroit and the LWB (Long Wheelbase) A8 will be revealed in 2010. 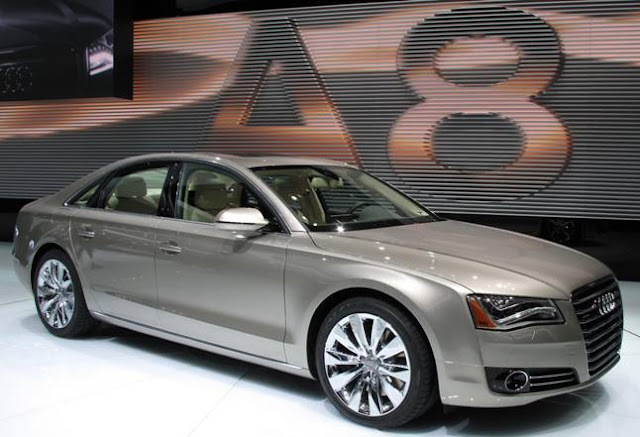 The A8 competes with the Mercedes-Benz S Class, BMW 7 Series, Lexus LS and Jaguar XJ. The A8 introduced this week in Detroit and coming to market in the Fall is a vehicle of beauty, technology and performance with an intuitively easy-to-use control system. We'll get the price for the new A8 closer to sales date. 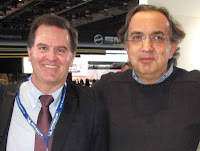 Fiat 500, Alfa Romeo & Lancia Coming To U.S. Chrysler Dealers? They're back! Not quite yet but Fiat is testing the market by putting their cars on display at U.S. venues since they took Chrysler in the bankruptcy process last year. This is the Italian Lancia Delta, badged as a Chrysler, on the floor of the North American International Auto Show in Detroit. Get ready - here they come again! Nissan/Infiniti will participate in the New York Auto Show after no announcements in Detroit, except for a media event showing off the two vehicles above which had already been shown. The new M sedan made its World Premiere in Beverly Hills a month ago. The 2010 Infiniti G37 Sedan and G37 Coupe are now on sale with a 328 horsepower 3.7-liter VVEL (Variable Valve Event & Lift) V6 engine delivering and 270 lb-ft of torque mated to a choice of a 7-speed automatic transmission or a 6-speed manual transmission. Also available is the Infiniti Intelligent All-Wheel Drive system (G37x Sedan AWD, G37x Coupe AWD). The G37 Sedan starts at $33,250 and the Coupe at $36,050 with the G37 Convertible available in early February. The 2010 Infiniti G37 Sedan and G37 Coupe are now on sale with a 328 horsepower 3.7-liter VVEL (Variable Valve Event & Lift) V6 engine delivering and 270 lb-ft of torque mated to a choice of a 7-speed automatic transmission or a 6-speed manual transmission. Also available is the Infiniti Intelligent All-Wheel Drive system (G37x Sedan AWD, G37x Coupe AWD). The G37 Sedan starts at $33,250 and the Coupe at $36,050 with the G37 Convertible available in early February. The all-new 2011 Infiniti M sedan is scheduled to go on sale in late March available in two model designations – the Infiniti M56 with an all-new 420-horsepower 5.6-liter VVEL Direct Injection Gasoline™ V8 and the Infiniti M37 with a 330-horsepower 3.7-liter VVEL V6. The Infiniti M56 and M37 will be offered in a choice of rear-wheel drive or with Infiniti’s Intelligent All-Wheel Drive system. Lots of news from Nissan and Infiniti but budgets have prevented full blown displays and press conferences in certain markets. Cadillac XTS Platinum Concept - Or Preview? The Cadillac XTS Platinum Concept was the best four door concept introduced at the North American International Auto Show in Detroit, because it, like the VW NCC, looks ready to hit the streets now and it makes sense. Cadillac needs to replace the aging STS and DTS four door sedans to regain some sizzle needed to survive. Can Cadillac afford to have a concept? GM is a company coming out of bankruptcy under Government scrutiny so you can bet there will be no dice-rolling concepts, just previews. 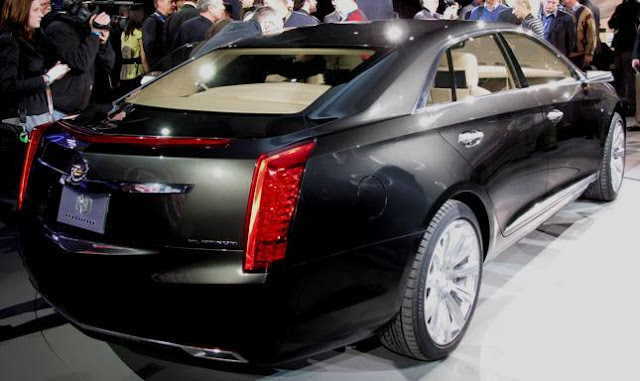 Cadillac is one of the four brands that GM is betting on to succeed - the XTS could make the Cadillac difference. Cadillac’s top-of-the-line Platinum series of models, is designed to emphasize new expressions of luxury and technological features, including a plug-in hybrid propulsion system. 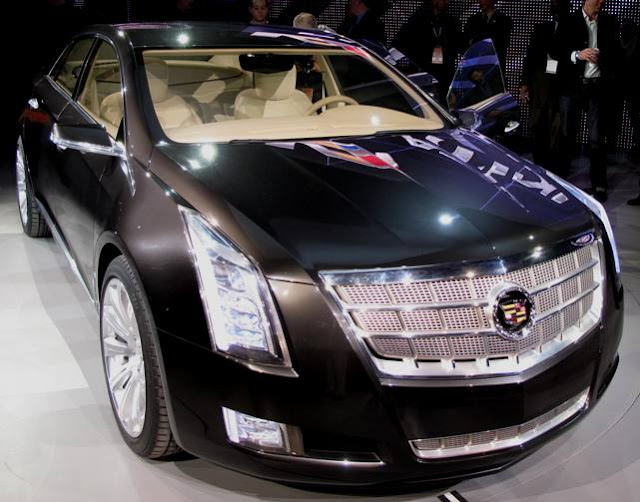 The XTS Platinum Concept uses Cadillac’s 3.6L V-6 Direct Injection gas engine, paired with a plug-in hybrid system. The plug-in technology enables the battery to fully charge from a standard electrical outlet, enabling pure electric propulsion in many driving situations, especially urban commutes in which fuel efficiency may double that of a conventional hybrid. The XTS is a big car so if my father trades in his STS for the XTS, he'll need a bumper sensor system or maybe the return of the front hood ornament to find the front of the car. Otherwise, nice job Cadillac! Volkswagen's New Compact Coupe Hybrid - A Concept? Volkswagen's New Compact Coupe Hybrid introduced at North American International Auto Show was the best concept at the Detroit show. With the success of the Audi A5, the NCC could become a popular reality with the added attraction of being a hybrid. This gorgeous car looks ready to hit the streets now. The New Compact Coupe is powered by a combination of Volkswagen's 1.4L TSI turbocharged and inter-cooled gasoline engine, making 150 horsepower and a usable 177 lbs.-ft. of torque, and an electric drive motor with 27 horsepower. Both units can work together, with the electric motor providing an added boost of power, or the NCC can run in full electric mode. The NCC is capable of achieving a combined fuel economy rating of 45 mpg. A seven-speed Direct Shift Gearbox® transmission keeps power on tap while aiding efficiency, and the electric motor can help to recharge the lithium-ion battery pack during braking. The NCC features all-new Bi-Xenon headlights, LED running lights, and large, inset cooling ducts. Great looking car for today's market so I would expect this so-called "concept" to hit showrooms sooner rather than later. The 2011 Ford Mustang GT may have been the most significant low key debut at the North American International Auto Show in the midst of electric, hybrid and fuel efficient debuts for political correctness rather that real historically high consumer appetite for muscle car horsepower. The new Mustang GT has an all-new 412 horsepower 5.0-liter V-8 engine, delivering 390 ft.-lb. of torque and projected to achieve highway mileage of 25 mpg. The speedometer increases to 160 mph and the tachometer redline advances from 6,500 to 7,000 rpm. Three new colors will be added for 2011 including Yellow Blaze Tri-Coat, Race Red and Ingot Silver. 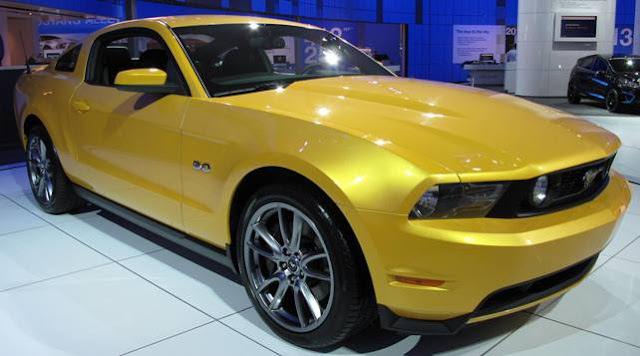 The 2011 Ford Mustang GT is set to launch this spring. 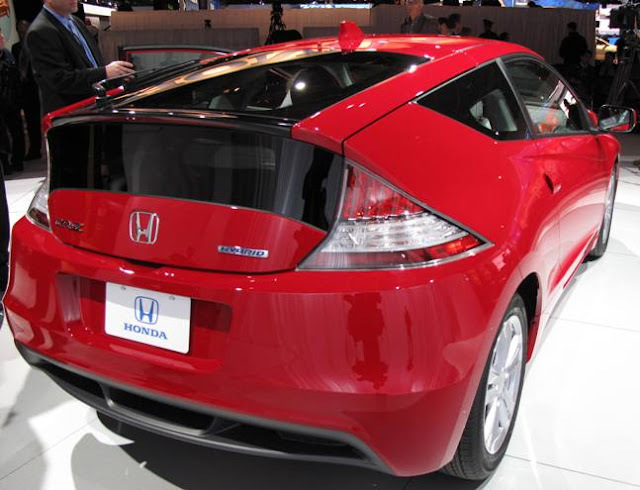 The all-new 2011 Honda CR-Z two-seater sport hybrid coupe coming to the U.S. market late this summer was my second pick for best debut in Detroit, behind the Ford Focus. Critics ask who will buy a two-seater car? I asked myself that same question in 1978 at age 23 and, guess what, I took the plunge and drove a two-seater for 10 years with no issues. I sold it on the day my first child was born. Most of us drive alone most of the time and the empty nest baby boomers may want some fun in an environmentally-friendly sports car. 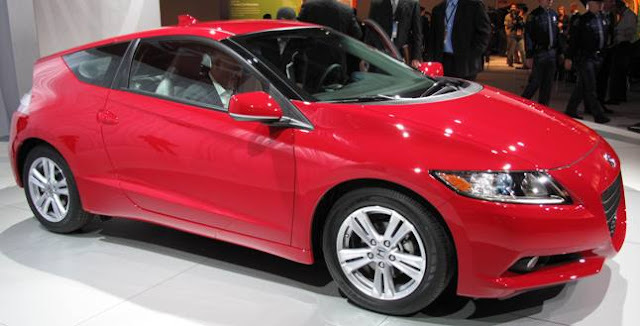 The 2011 Honda CR-Z is powered by a 122 horsepower 1.5-liter i-VTEC engine with Honda’s compact and lightweight Integrated Motor Assist hybrid-electric system. Expected MPG is 31/37/33 miles per gallon (City/Highway/Combined). The two-passenger CR-Z introduces a new three-mode drive system that allows the driver to select between Sport, Econ (Economy) and Normal driving modes. We'll get price and other details closer to launch late this summer. 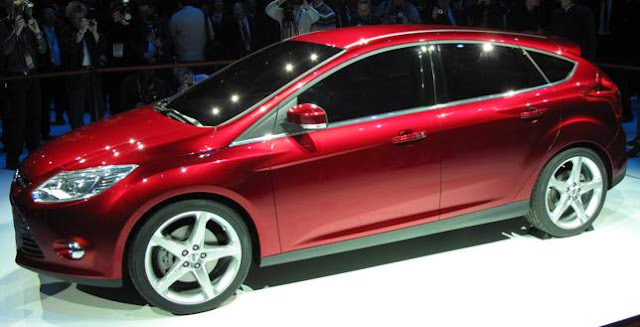 The all-new next generation 2011 Ford Focus debuted at the North American International Show and may have been the most significant introduction in Detroit this year, mainly because of its sales volume potential worldwide. The Focus which will go on sale in both Europe and the U.S. a year from now in early-2011 in both the four-door sedan and five-door hatchback body styles, will have a completely new 2.0-liter gasoline engine for the North American market that features DI and Twin Independent Variable Camshaft Timing for enhanced performance and fuel efficiency. The new 2.0-liter DI Ti-VCT engine is up to 20 horsepower more powerful than the current 2.0 Duratec I-4 unit with projected fuel economy gains of more than 10 percent. The 2.0-liter DI Ti-VCT engine is mated with the latest dry-clutch six-speed Ford PowerShift automatic transmission which uses an advanced dual-clutch design. 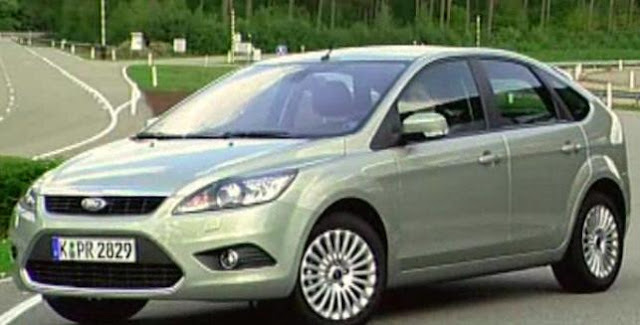 The Focus will offer MyFord, which provides the driver with a combination of controls and display screens to operate the key vehicle features. On high series vehicles, the MyFord system includes an 8-inch touch screen. Also, a new generation of Ford’s powerful SYNC® connectivity package, which includes a sophisticated voice control system, Bluetooth and satellite navigation, along with connection points for a wide variety of external devices and media players. The new Focus may take a bite of the popular Mazda3 which is on a similar platform, though Ford execs say the Ford Focus is targeted at the high-volume Toyota Corolla and Honda Civic model lines. The stylish design will attract young as well as budget-conscious buyers looking for fuel economy and technology perks. Again, because it's a new generation of a popular, affordable model with an attractive new design and huge sales potential, it was my top pick introduction in Detroit. Ford will be the focus of the 2010 North American International Auto Show in Detroit which opens for the media on Monday. Ford, which didn't file for bankruptcy like GM and Chrysler and didn't take any government bail out money, will show Focus, Mustang GT and Lincoln MKX. The successful Ford Focus in Europe will have its U.S. debut in a venue that is more than 54,000 square feet, 48 percent bigger than last year - the largest Ford stand ever. Focus is the big story as it becomes Ford's first global passenger vehicle with plans to have up to 10 models off of that C platform in the coming years, including the C-max version which was shown in Frankfurt in September. Ford's all-new normally aspirated 2.0-liter direct injection engine will power the 2012 Focus in North America. At NAIAS in Detroit, Ford display 60 new Ford cars and trucks and 21 new Lincoln and Mercury vehicles and will showcase 24 interactive displays, engaging consumers in experiential and educational exercises that demonstrate Ford's technologies and innovations. Ford will also conduct live driving demonstrations of its Active Park Assist (APA) technology inside Cobo Center using hybrid vehicles. Ford will introduce nine new or upgraded engines and six new transmissions in North America this year as part of a five-year effort to overhaul its entire global powertrain portfolio, which totals 60 new powertrains. Stay tuned for more from Detroit. General Motors delivered 208,511 vehicles in December, a decline of 6 percent from the previous year. GM reported 160,996 retail deliveries in December, a 7 percent increase compared to last year. In 2009, GM dealers delivered 2,084,492 vehicles, down 30 percent compared with 2008. Toyota Motor Sales U.S.A. reported December sales results of 187,860 units, an increase of 22.9 percent over the same period last year. For the year, TMS reported annual sales of 1,770,149 vehicles, a decrease of 20.2 percent from the same period in 2008. Ford, Lincoln and Mercury December sales totaled 179,017, up 33 percent versus the same month a year ago. Full-year sales totaled 1.62 million, down 15 percent from last year. American Honda, including Acura, reported December monthly sales of 107,143, an increase of 15.6 percent. American Honda's 2009 annual vehicle sales totaled 1,150,784, a decline of 19.5 percent compared to 2008 results. Chrysler Group reported total U.S. sales for December of 86,523 units. Sales increased 36 percent month-over-month and declined 4 percent year-over-year. The company finished the year with 931,402 units sold, a decline of 36 percent compared with 2008. Nissan North America reported December 2009 sales of 73,404 vehicles, an increase of 18.2 percent. For 2009, combined Nissan and Infiniti sales totaled 770,103 vehicles, a 19.1 percent decline from 2008. Hyundai Motor America December sales of 33,797, was up more than 40 percent versus December 2008. For the full year, Hyundai reported 435,064 sales, up 8 percent over the prior year total. Kia Motors America announced December sales of 21,048 units, a 43.7 percent increase over the same month last year, and total 2009 sales of 300,063 units, a 9.8-percent increase over the same period last year. Volkswagen of America reported December 2009 sales of 20,387, a 16 percent increase over December 2008. Volkswagen sold 213,454 total units for 2009, a decrease of 4.3 percent. Separately, Audi reported December U.S. sales of 9,030 cars and SUVs, a 17.1% increase from a year-earlier. Throughout 2009, Audi sold 82,716 vehicles during the year, down 5.7 percent from 2008. The BMW Group in the U.S. (BMW and MINI combined) reported December sales of 23,617 vehicles, an increase of 9.2 percent from the 21,626 vehicles sold in the same month a year ago. For 2009, the BMW Group also reported a total sales volume of 241,727 vehicles, down 20.3 percent compared to 303,190 vehicles sold in 2008. Subaru of America announced a record breaking sales year as the company sold 216,652 units in 2009, an increase of 15-percent. This breaks the previous sales record of 200,703 units sold in 2006. Mercedes-Benz Cars division in the U.S. (Mercedes-Benz and smart combined) of 20,889 units, an increase of 0.2 percent compared to December 2008. Mercedes-Benz USA reported December sales of 20,025 vehicles, its highest monthly volume of the year, bringing the company's total 2009 volume to 190,604 and narrowing the gap versus last year to 15.3 percent. smart USA recorded 864 sales in December 2009. Year-to-date sales total 14,595 units. Mazda North American Operations reported December 2009 sales of 18,255, up 1.6 percent versus December 2008. Full-year 2009 sales were 207,767, down 21.3 percent. Volvo Cars of North America, still owned by Ford Motor Company, had December sales of 5,638 vehicles, up 13.8 percent from December 2008. For 2009, Volvo sold 61,435 vehicles, 16 percent fewer than last year. Mitsubishi Motors North America announced December 2009 sales of 4,355, an increase of 49 percent over November. Mitsubishi had 2009 sales of 53,986, a 44.5 percent drop from 2008. Jaguar sold 1,246 cars in December in the U.S., a 24 percent increase from last year. Land Rover sold 3,595, a 37 percent jump from a year ago. For 2009, Jaguar Land Rover combined sales fell 14 percent. American Suzuki sold 1,885 vehicles in December, down 48 percent from December 2008 and for 2009 sold 38,689, a 54 percent plummet. Porsche Cars North America December sales of 2,118, was essentially on par with the same period last year when it sold 2,154. For 2009, Porsche sold a total of 19,696 new cars in the U.S., down 24 percent from 2008. Site will be updated as manufacturers report. Forty new vehicles is the estimated unveiling count at the North American International Auto Show according to show organizers. Thirty worldwide reveals and ten North American debuts, will kick off the New Year at Cobo Center in Detroit January 11th. That count may climb as we get closer. A lot of the news is already out as secrets are hard to keep these days with so many European vehicles just crossing "the pond". We saw numerous unveils in Frankfurt and Los Angeles so what's in store for Detroit? Audi's new A8 sedan, which arrives in the Spring, will be initially offered with either a 372 horsepower 4.2 FSI or a 350 horsepower 4.2 TDI engine and later with a 250 horsepower 3.0 TDI powerplant. BMW will make the world debut of its 340 horsepower twin turbo Z4 sDrive35is roadster and BMW Concept ActiveE with an electric drive system that draws its energy from new, advanced lithium-ion battery pack. BMW is also unveiling the twin-turbocharged inline-6 engine version of the BMW 740i and 740Li sedans. BMW will also display the 465 horsepower ActiveHybrid 7 with an upgraded eight-cylinder engine and electric motor. Next to it will be the 407 horsepower ActiveHybrid X6 with V8 TwinPower Turbo Technology and two synchronous electric motors. The MINI Beachcomber concept will also be center stage in Detroit. Chrysler's display will have some Italian flavor with a battery-electric Fiat 500. Ford will have the 412 horsepower 5.0-liter V8 engine Mustang GT and the $79,000 racing Boss 302R Mustang. General Motors, under the Chevrolet bow tie badge, will have a new Camaro convertible, Aveo, Spark (pictured left at the Frankfurt Auto Show), Orlando and Malibu along with Jim Campbell, Chevy's newest vice president, as of December 9th. GM will also have the Cadillac CTS-V coupe, Buick Regal GS performance concept and GMC Acadia Denali edition. Mercedes-Benz will have its E-Class Cabriolet which goes on sale in mid-January in Europe and in May in the U.S.
Toyota will stage the world debut of a new dedicated hybrid concept vehicle. 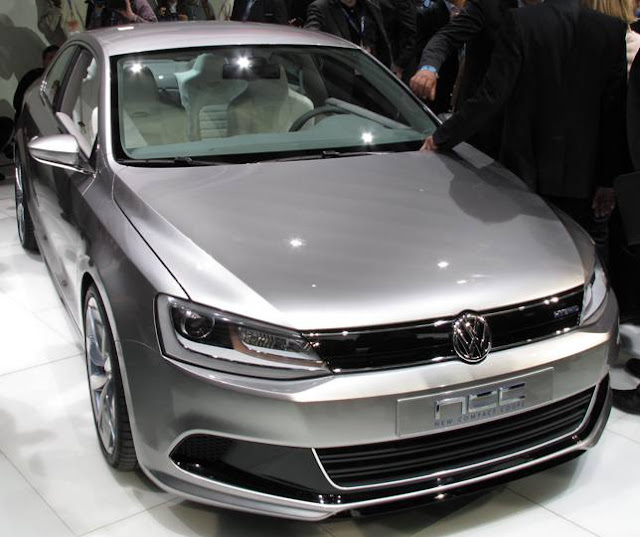 Volkswagen may have a new 2011 Jetta and a CC R-Line news announcement. R-Line equipment is already offered on seven Volkswagen models in Europe and now the Passat CC is getting a sportier touch. Volvo is presenting a complete battery electric Volvo C30 with a range of 93 miles. All the news from Detroit will come from media conferences on January 11th and 12th.